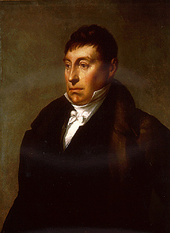 In May 1955, the New Hampshire General Court passed legislation (Chapter 4:13-b) proclaiming May 20th as General Marquis de Lafayette Day, in honor of this proud patriot who had come from France to volunteer in the American struggle for Independence. May 20, 1834, was the date of Lafayette’s death. Lafayette visited New England: Massachusetts, Rhode Island, Maine, New Hampshire, NH Vermont, VT and Connecticut, CT twice, spending a month all told in the region. From August 21 to August 24. Heading north from Staten Island, NY he stopped briefly in New Haven, CT, Providence, R.I., Stoughton, MA, and Boston, MA. On September 1, he visited Portsmouth, N.H, then headed south again to Boston, MA and Lexington, MA. 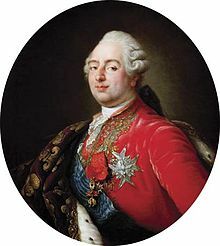 On June 22, He spent the night in Dover, N.H.
Toward the end of General Lafayette’s year-long triumphal tour of the United States, he also visited Dover. Following a ceremonial dinner at the town hall, he attended a party at William Hale’s mansion. That night – June 23, 1825 – the aged French aristocrat and the thriving American entrepreneur both slept in the large guest chamber on the second floor. 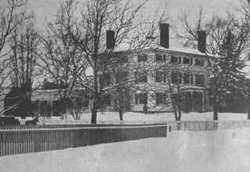 It is from this celebrated visit that the mansion of William Hale became commonly known as « the Lafayette house ». June 23 – Lafayette crosses into Maine at 8AM via South Berwick, Maine and spent the day in Saco, Maine and Biddeford, Maine. June 24 Lafayette stops in Scarborough, Maine at 7AM and then at 9AM was welcomed at Portland, Maine by Maine governor Albion Parris, Bowdoin College President William Henry Allen, Henry Wadsworth Longfellow’s father Stephen Longfellow. On Sunday, June 27, Lafayette leaves Portland early in the morning, passes through Saco and Biddeford, and arrives in Concord, New Hampshire and that same day arrives late (~10 p.m.) in Claremont, New Hampshire. He passed this spot on June 23 (? ), 1825, traveling between Concord and Dover. Description: Upon the invitation of President Monroe, issued at the request of the Congress Marquis de La Fayette, Revolutionary War Hero, revisited the United States for a goodwill tour which included an extensive visit to New Hampshire towns. June 22 (? ), 1825: General Lafayette held an address to a joint session of the New Hampshire General Court. The following day, an elm tree, symbol of Liberty, was planted on the spot where General Lafayette had been seated. This tree survived 130 years. In advance of an exhibition on a French aristocrat and military leader, Marquis de Lafayette, exhibit technicians at the New-York Historical Society prepare the carriage he rode from New Hampshire to Vermont in 1825.